Tube cutting services need to be performed with high precision. Our process is exceptionally clean, accurate and repeatable. The latest technology and machinery are used to provide the exact cut lengths desired, while keeping the inside diameter (ID) clean, and preventing contaminants from entering the tubing. 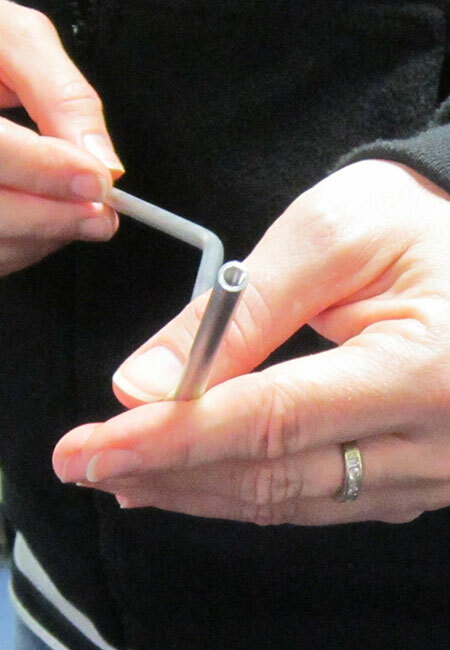 The skilled technicians use a precision cut-off tool and a facing tool that can square the tubing to within .005. Custom finishing services are available for the outside diameter (OD) of the tube after cutting, for a cleaner look, using bead blasting, polishing and more, according to customer specifications. Axenics is known for its high purity environment and ultra clean manufacturing space. In order to maintain the highest level of purity, we’ve segregated space that is dedicated solely for tube cutting. By controlling the tube cutting operation, particles can be contained in one area of the building so they cannot contaminate the rest of the manufacturing floor. In addition to tube cutting and finishing services, we also provide TIG or orbital welding, tube bending, assembly and brazing. Axenics also offers custom tubing kits made to order at specific cut lengths and tolerances based on the needs of our customers. Our specialty piping kits are often used for internal piping for OEMs, and are mostly requested with plastics materials, but can also be done with metals. Our experts are able to create just about any type of tube assembly that the customer requires. Do you need a solution for a complex assembly system? Our skilled technicians at Axenics can provide you with highly precise tube cutting services to achieve your project goals. Contact us today to find out more.